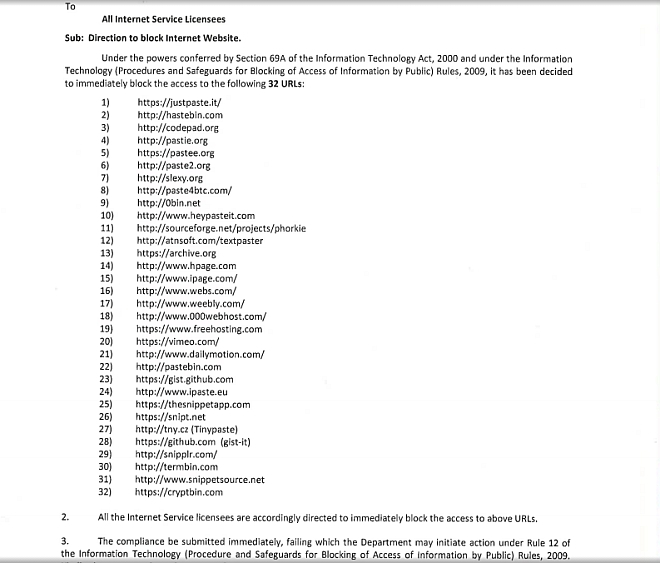 India’s DoT or Department of Telecom has randomly ordered internet service providers across the country to block a long list of websites. The names include the likes of Pastebin, Archive.org, GitHub, Vimeo, Dailymotion, and many others. Many of the names in the list are sites meant for pasting and sharing text files. Why exactly these sites are being blocked is not yet know. Depending upon your area and ISP, some sites may or may not be blocked but the DoT order is in effect regardless. It’s an unruly form of censorship, and not the first of its kind in India. Most of the times it rises out of something that seemingly offends someone being posted on one of these sites by someone, causing this sort of ignorant knee-jerk reaction blocking the entire site by the DoT and the people in charge who generally don’t have any idea of how the internet works. Hopefully, this is temporary and access to the sites is restored soon.